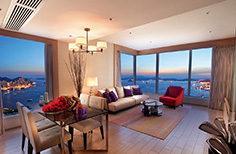 The HarbourView Place proudly presents their only two Presidential Suites. 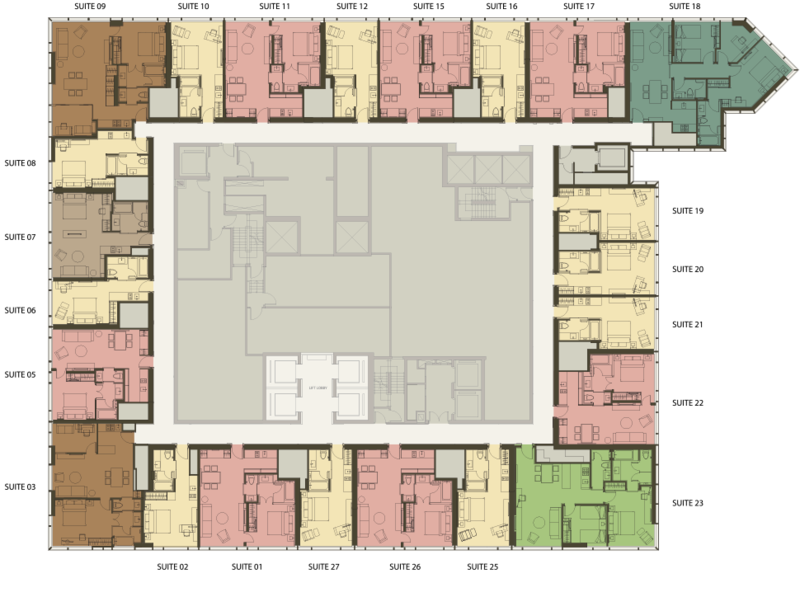 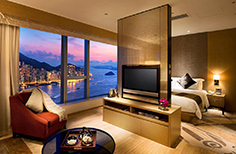 The Premier Suite and the HarbourView Suite, spanning 3,270 and 2,290 sq. 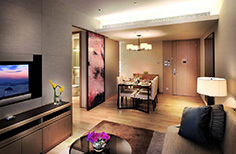 ft. respectively, are two very rare gems atop the well-received luxury suite hotel in the ICC megalopolis. 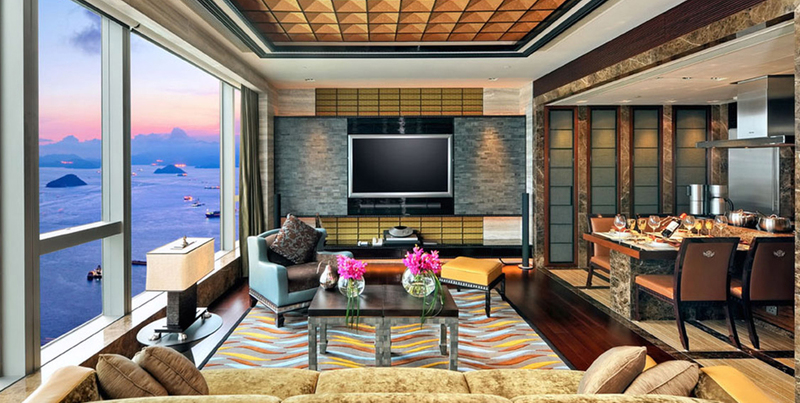 Each Presidential Suite is designed by a world-renowned designer, displaying their artistic talent to match the incomparable panoramic harbour view. 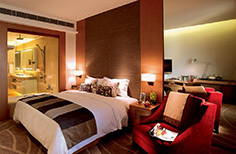 Every inch of space is thoroughly planned, every corner lavishly decorated and every detail rich with opulent quality. 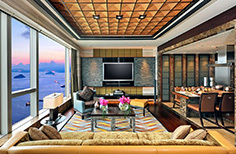 All for the ultimate presidential lifestyle. 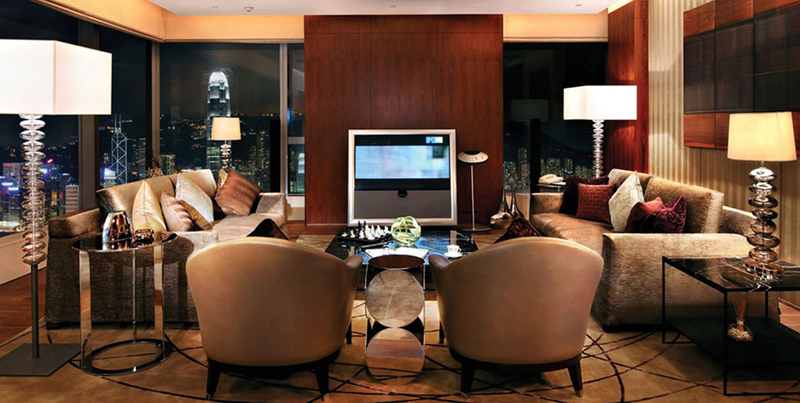 Perfect luxury home away from home, with international brand home appliances and a full range of hotel services and facilities. 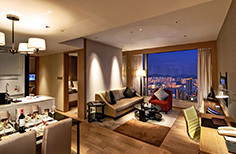 The HarbourView Place Presidential Suites are a true haven for staying in a class above.